Life’s snot on coating sleeves with mediocrity. Longing to relax, dilating pupils, take you once more. Fiending for fluids of not just pretend. Lusting for skin origami, hearts unison voice. Even moments of stillness refresh. 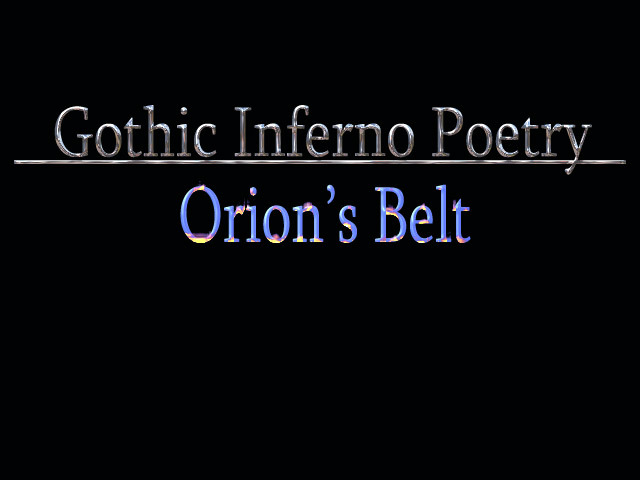 Aching huntress wanting to remove Orion’s belt. Untouched memories, taken to form.